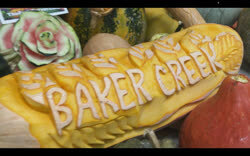 "Pumpkins are almost 90 percent water and have high water requirements. Water each hill with at least two to three gallons of water per week. Water the roots only to keep fungal problems at bay. 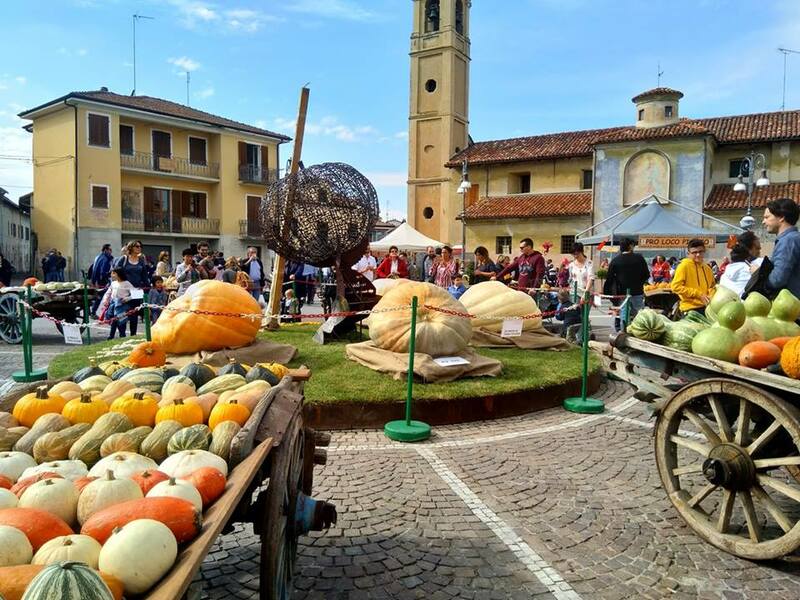 Pumpkins have been known to increase their size by almost one-third following a heavy rainstorm." 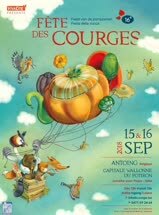 Whatever they're called, they were unknown in Europe until after Columbus met the peoples of the Americas, who had been eating squash/pumpkins for thousands of years. 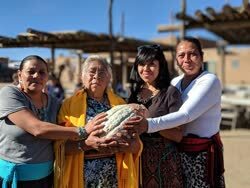 For Native Americans of the Eastern Woodlands, squash was one of the three sisters � the other two being corn and beans. The corn provides a climbing stalk for the beans that put nitrogen in the soil to nourish the corn. The squash leaves provide shade for the shallow roots of the corn. Squash by growing type: bush, vining, semibush, etc. 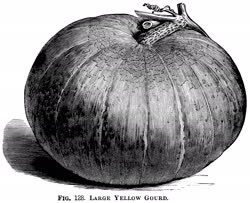 The Long Island Cheese pumpkin was widely used as livestock feed. Pumpkins can be fed to dogs and cats as a supplement for managing constipation or hairballs. The fiber provides the bulk matter that aids in proper digestion. 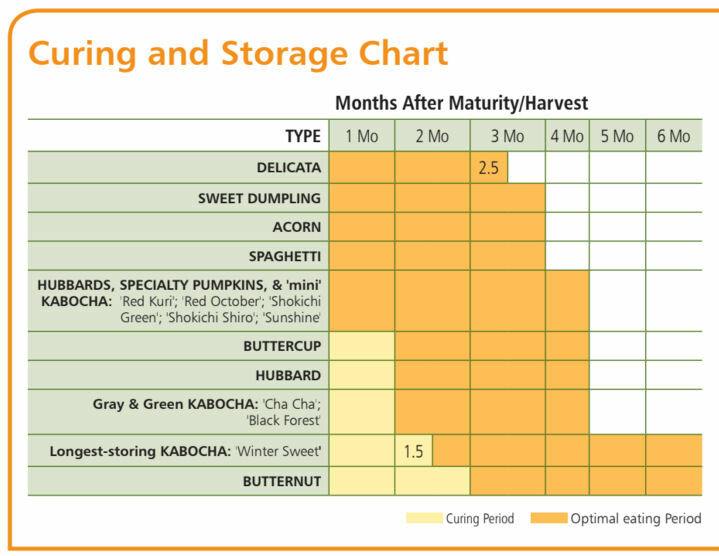 Raw pumpkin can be fed to laying hens to increase egg production in the colder months. 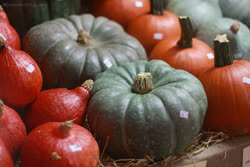 Pumpkin phytochemicals and nutrients have positive biological effects. Sow 5 seeds per hill, 4 feet apart. Thin to best 2-3 plants. 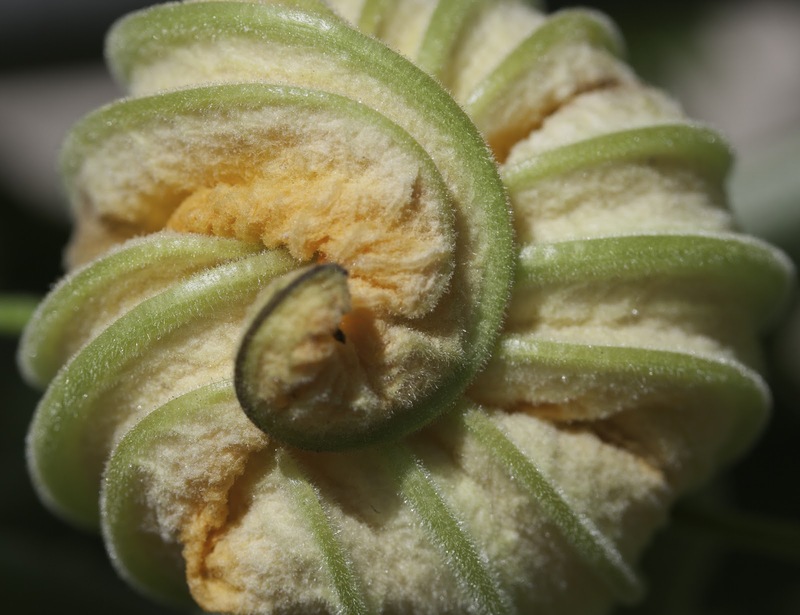 Squash seeds dislike cold soil. It's better to wait until the soil is warm to plant the seeds. Also, squash and melons don't like to have their roots disturbed, so when thinning out seedlings in hills, cut the stems of those you want to remove, rather than pulling them out. It also helps to place boards or old roof tiles under the fruits, to keep them from touching the ground and rotting. Once the first fruits appear, you can pinch back the vine tips, to limit vine growth and to put the plant�s energy into maturing the existing pumpkins. However, this may limit production of more fruits. 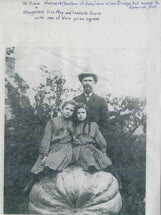 It�s Hard to Overfertilize Pumpkins. Several landraces are grown open-pollinated. Results are many unique squash with a blend of characteristics from what we consider species(maxima, moschata, etc): stem and peduncle shape, fruit color size and shapes etc. The farmer then chooses which ones have the characteristic their looking for and replants the seed from those squash. Heirlooms appear to be the result of this selective breeding practice over the course of decades or centuries. 1000 lbs of giant pumpkin fruit is 2/3 water, 1/3 flesh, making 300 lbs of food. That's a lot of food that can be grown by one plant and fits neatly on a pallet. Compare that to 1000 lbs of other crops, like peas. 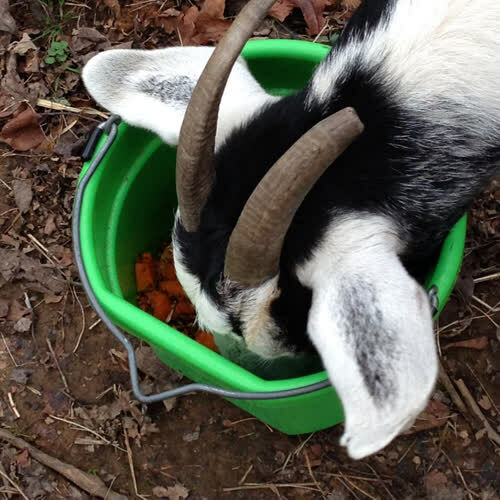 The water from the fruit isn't a waste either, it can be drunk as delicious Pumpkin Juice or reduced into Pumpkin Syrup. People don't even know pumpkin is not just a food, it's dessert. The juice can be reduced to make thick, caramel-like pumpkin syrup, and the flesh can be cooked and baked into pies and puddings with a bit of egg, cream and pumpkin spice mixed in. No sugar,no crust required. Just pumpkin. This is one "dessert" you can't eat too much of. 2,000 lb Pumpkin. World's heaviest. 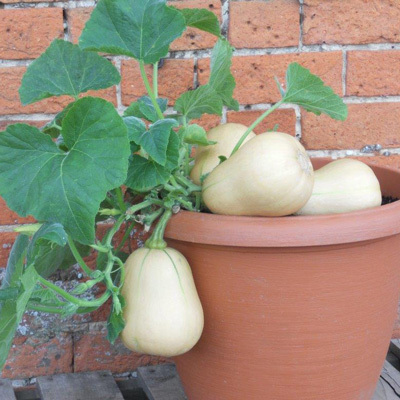 Pumpkins have very long roots and if grows in a same pot with other plant, then re-potting will damage the roots. don't re -pot it unles you don't want to re-pot it together with the other plant. Vines- highly invasive grabbing everything near them. 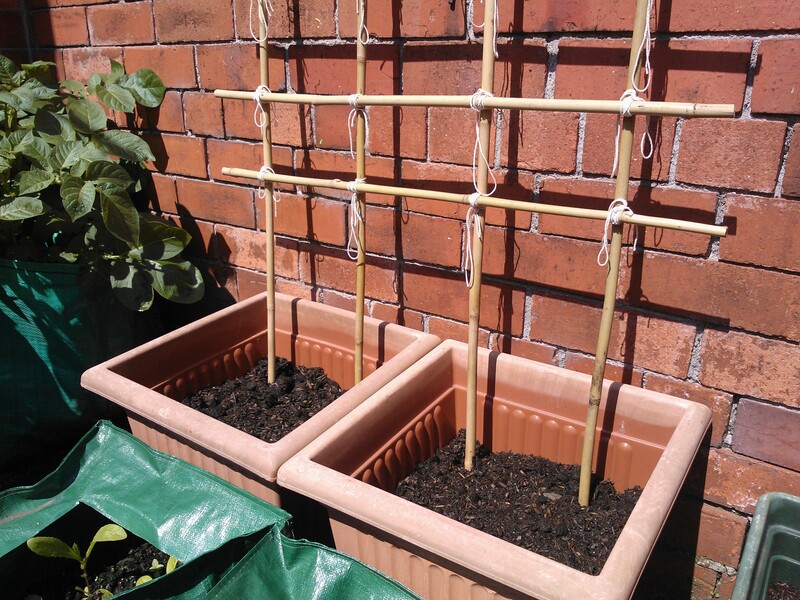 To anyone attempting this, you may consider more pots of soil to be available wherever you get a female flower. The vines like to sprout roots at each fruit. If you start to get a baby pumpkin, bury the vine at the closest node. It will make new roots and provide more nutrients for the fruit itself. It doesn't matter what type you try in the house, they will all be about the same size. 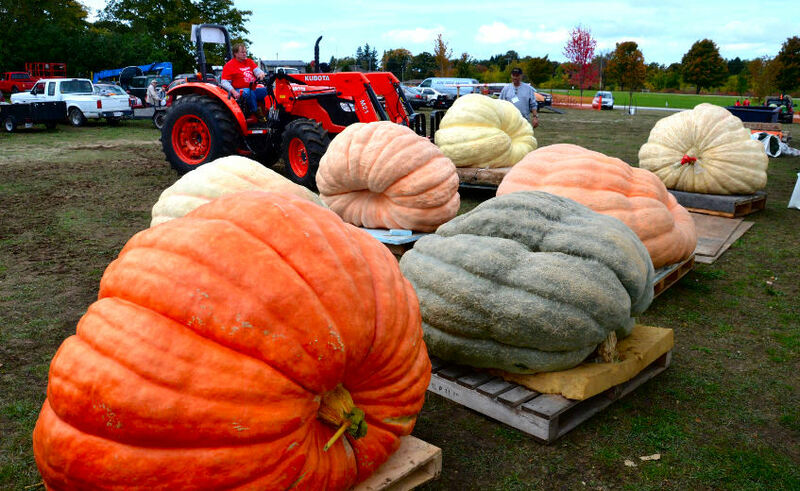 Atlantic giants won't truly be one of those giant pumpkins. You have to have VERY deep soil for those to be that big and lots of other special conditions. I love vines in the house but never thought about trying a frappin pumpkin. What's next sweet potatoes? 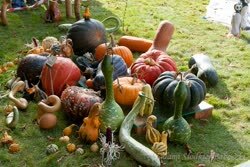 Interview with Heirloom Squash farmer on pesticides. 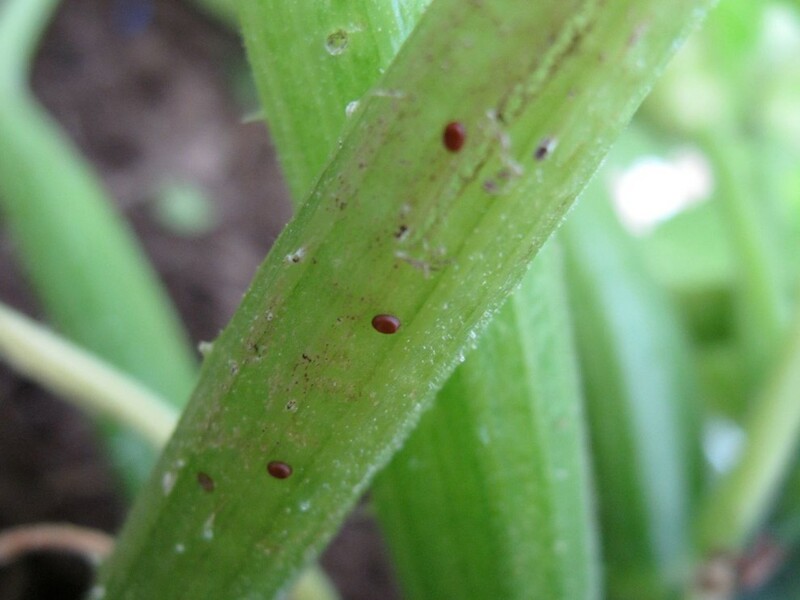 Check your zucchini plants for SVB eggs. The moth lays them one at a time along the main stem or the stems on the leaves. I have also found them on immature flower buds. They are a hard, light brown/dark tan speck, a little bigger than a grain of sand, or about half the diameter of a pencil lead. If you find any, gently scrape them off. You can usually get them off with your finger, but I sometimes use a pointed stick. They hatch about a week after the moth lays them. You might find a dozen or more, depending on how long she was there of if any of her friends had been by earlier. Don't discard your pulp, it is the most nutrient dense and tastiest part of the pumpkin. 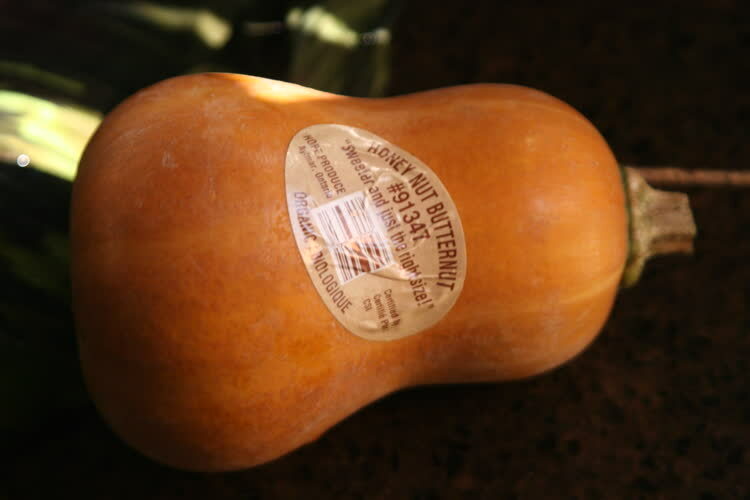 Save it for processing into Pumpkin Juice Syrup or for a Pumpkin Pie Royale. If handled correctly, they will keep for a long time. 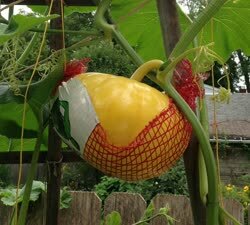 For biggest and densest fruit, leave the squash as long as possible on the vine, even after the leaves start to die down, unless there is danger of frost. Harvest by cutting the vine either side of the stem, not cutting the stem itself. Bring inside and store in the warm for 10 days for them to cure. Ideally this is 80F / 25C, but we just keep ours in the kitchen where is is reasonably warm. Curing like this makes lets the skin dry out and lets minor damage heal. It really makes them much longer-keeping and they can then be stored at a cool temperature (experiments prove that 55F / 12C gives the longest keeping) . We use a spare (unheated) bedroom which is perfect in our not-very centrally heated house; but a frost-free garage will do at a pinch. A shed will probably get too cold overnight and too hot during the day. This storage temperature is important to get right - check with a thermometer - too cold and they will rot, too hot and they will shrivel. Pepo flavour degrades with age and is best eaten closer to when it was harvested. Maxima stores for 5 - 8 months, and loses sweetness after about 1 year, in general. 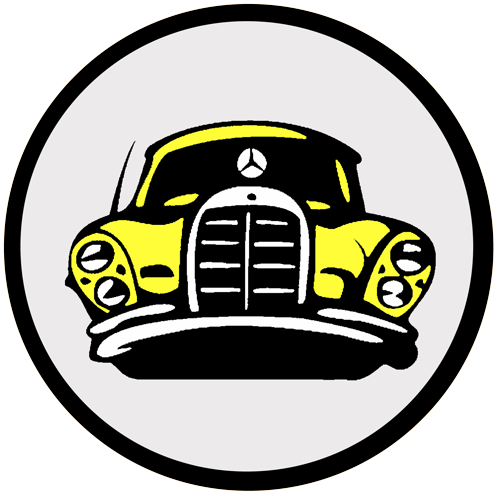 Moschata stores for at least 6 months. 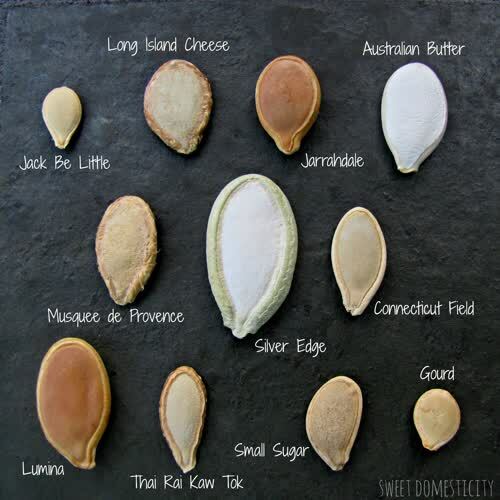 Choosing the correct seed is the best place to begin. 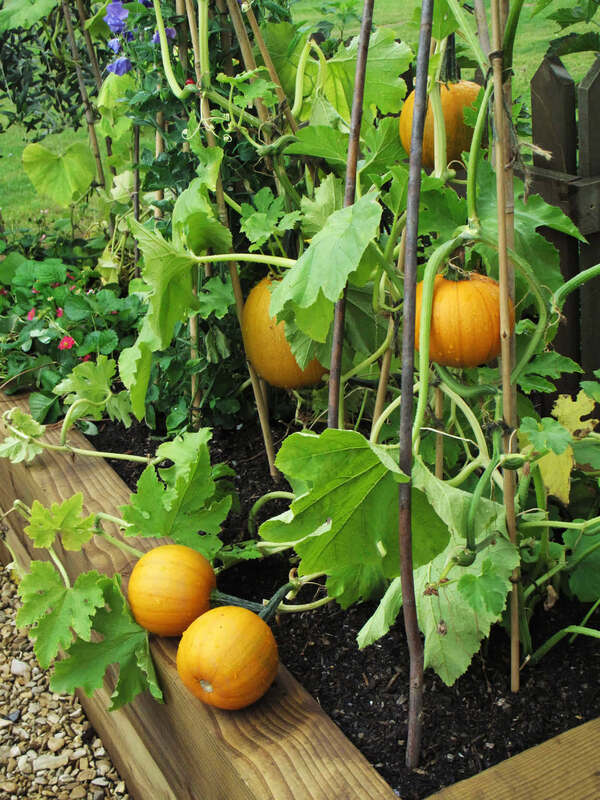 To grow squash Vertically choose squash that have a vining habit (sometimes called trailing) and produce small fruit; two pounds or less are recommended. 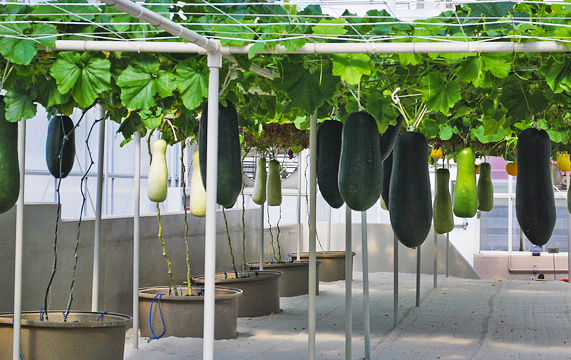 Growing squash that can grow to a hundred pounds or more would be hard to accommodate when build the structure to be climbed and would break from the vines before mature. Site and climbing structure should be properly prepared. 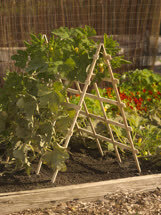 The climbing structure should be strong enough to withstand strong winds and the weight of the squash as the reach maturity. The soil needs to be well worked and mounded to allow soil based watering methods, such as trench or soaker hose, and provides adequate drainage. The grooming method needs adapted to encourage the growth of many small fruit. Many gardeners recommend removing fruit and leaving only one or two on each vine; thus, encouraging few large fruit. When growing vertically we want to encourage the growth of numerous small fruit, which will be less likely tear the vines down or fall off the vine. 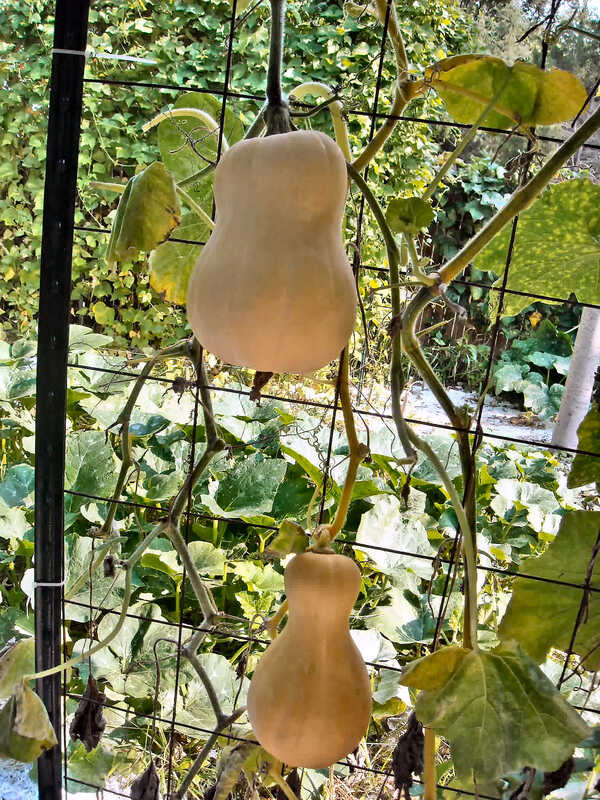 As squash grow larger and providing additional support for the fruit may be desirable to prevent the fruit from tearing themselves from the vine before mature or falling to earth and breaking or being bruised.